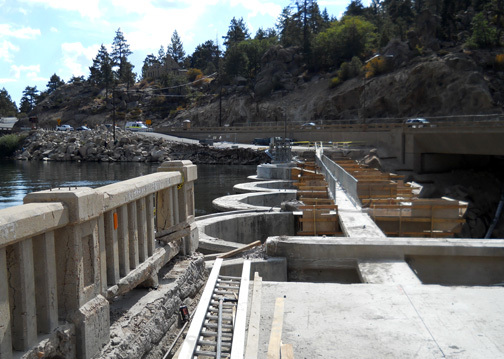 The last sections of the old historic bridge across the Big Bear Lake dam are being removed. The bridge was built back in 1924. 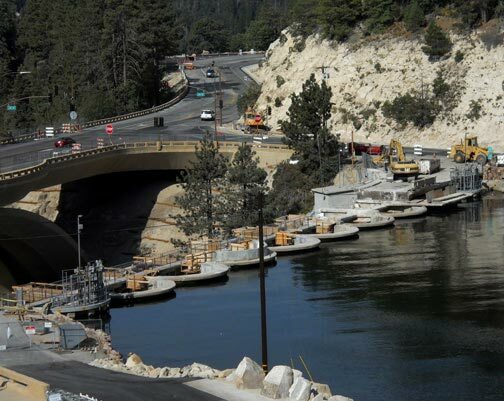 Removal of the old bridge across the Big Bear Lake Dam is nearly complete as of October 2, 2011. © Rick Keppler. The last couple sections of railing, and what is left of the road that was built in 1924, look out across the Big Bear Lake dam towards the South Shore road where it once connected. © Rick Keppler.